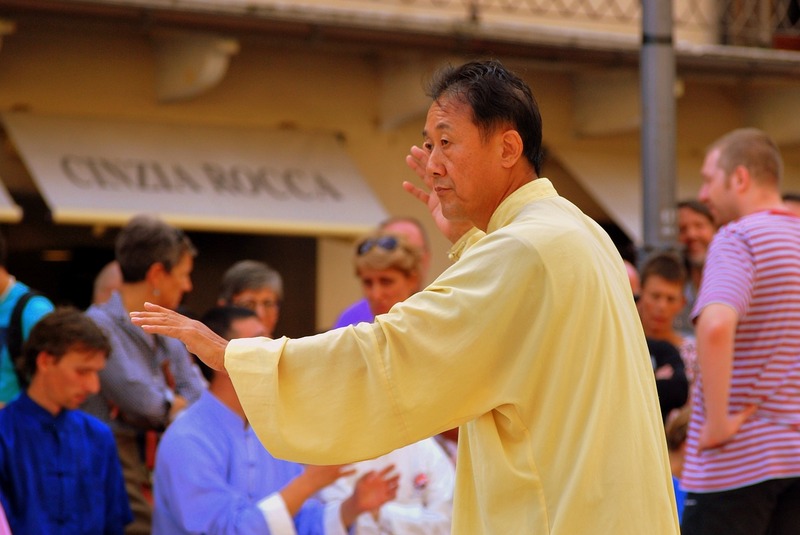 Tai Chi is an ancient Chinese tradition that is today practiced as a graceful form of exercise. The series of movements performed in a slow, focused manner helps with improving muscle tone, strength and flexibility. Some of the health benefits include alleviating stress and anxiety, improving balance control, fitness and flexibility. Tai chi appears to reduce pain and does not put too much stress on the muscles and joints. In a 2012 Cochrane Systematic Review combining research involving more than 79,193 people it concluded that Tai chi could reduce the risk balance issues. Medical News Today also reports that tai chi is beneficial for good sleep, treating symptoms of pain, depression and fatigue and improving fibromyalgia symptoms. This year I joined a class through the City of Oakville to learn Tai chi. So far I have enjoyed the learning experience. This is a discipline using both mind and body. It is a series of gentle flowing movements using balance, coordination and breath. The exercises although not strenuous, have already encouraged me in a few lessons to move with mindfulness, calm and balance. Dr. Callum Peever recommended this to me as a patient as an alternative to Yoga, which was difficult and painful on my back. I have found that Tai chi is a great compliment to me as an older athlete. While I still enjoy walking daily as well as do weights, ski and bike, Tai chi offers balance, coordination, calmness and breath. Most of all the learning of a new skill, repetition and memory of the moves is important for my mind. Thanks Dr. Callum Peever for recommending to me (Mom) to try Tai chi. Another step forward in maintaining my “Optimal Health”.